Stephen Johnson joins the pianist Artur Pizarro and the BBC Concert Orchestra conducted by Barry Wordsworth for a look at the music and ideas of Manuel de Falla's Nights in the Gardens of Spain. Falla finsihed his musical evocation of Spanish landscapes, scored for piano and orchestra, in 1915. As well as the many native Spanish influences that shaped the music, Falla was also guided by the French Impressionists, Debussy and Ravel, so that his three movement portrait has a telling atmospheric quality. It also demonstrates many of the Spanish influences taken from the Arab world. Stephen unpicks the work with playing and comment from the Lisbon born pianist Artur Pizarro. 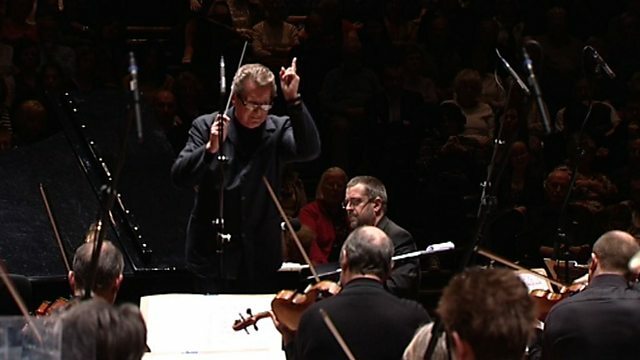 Watch a selection of specially recorded editions of Radio 3's Discovering Music series.